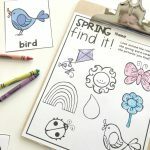 In preparation for springtime, I want to share a wonderful Planting Seeds Spring Writing Activity where children are inspired to write for fun! 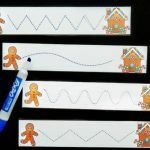 If you have any reluctant writers they are going to love this activity and you will too because it’s going to be the most popular activity in your classroom this spring! When spring arrives there’s a newness and excitement that comes along with it. Fresh new smells, sights to see and warmer weather to experience. 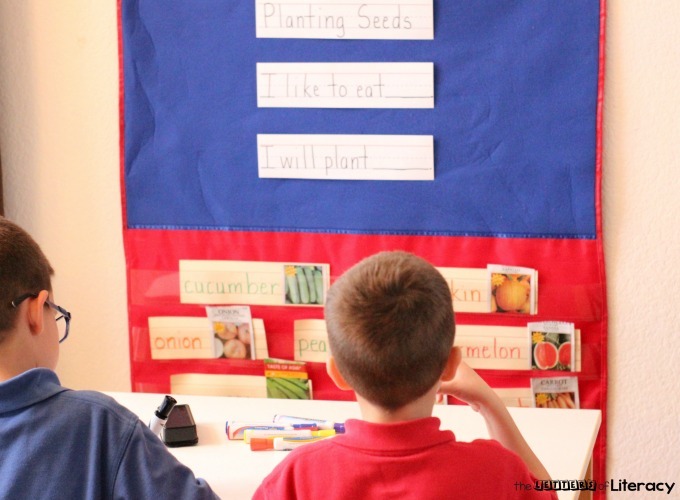 We enjoy planting seeds for flowers, fruits and vegetables and watching them grow! 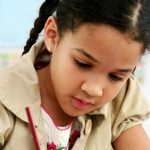 Any chance to tie in these real life experiences with writing is a win, win for sure and this writing activity will do just that! 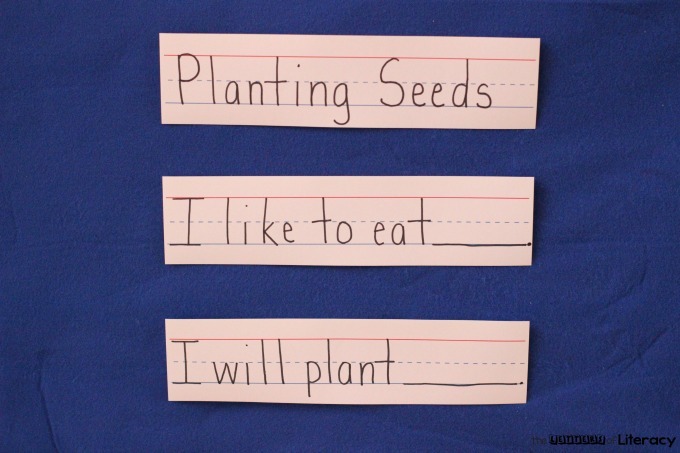 You might consider using this Planting Seeds Spring Writing Activity as a piece to your spring theme unit. I encourage you to make a garden outside of the classroom if possible or plant individual pots in the classroom. 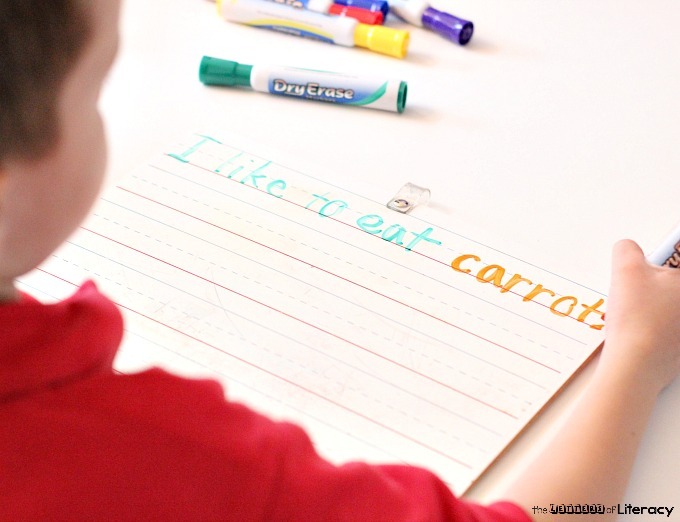 This writing activity can be a wonderful writing piece to your springtime planting unit. 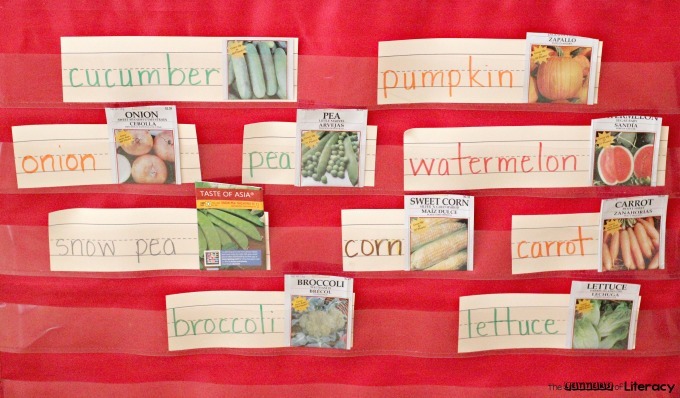 Gather sentence strips and packets of fruit and vegetable seeds. 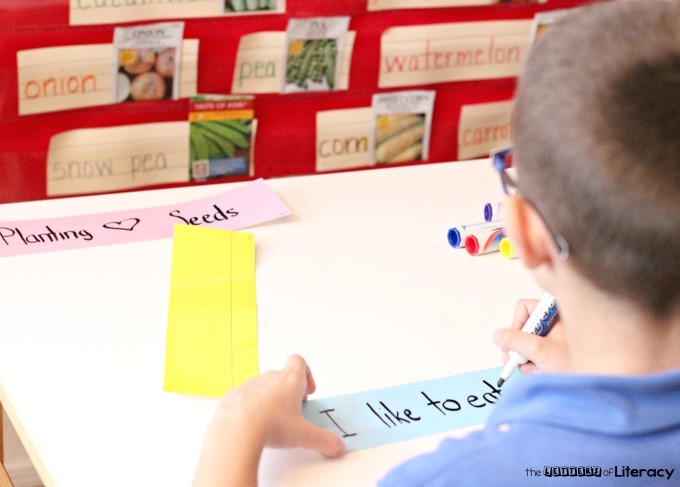 Write the names of the seeds on the sentence strips and then tape an empty seed packet to the sentence strip so that your non-readers can “read” the words. 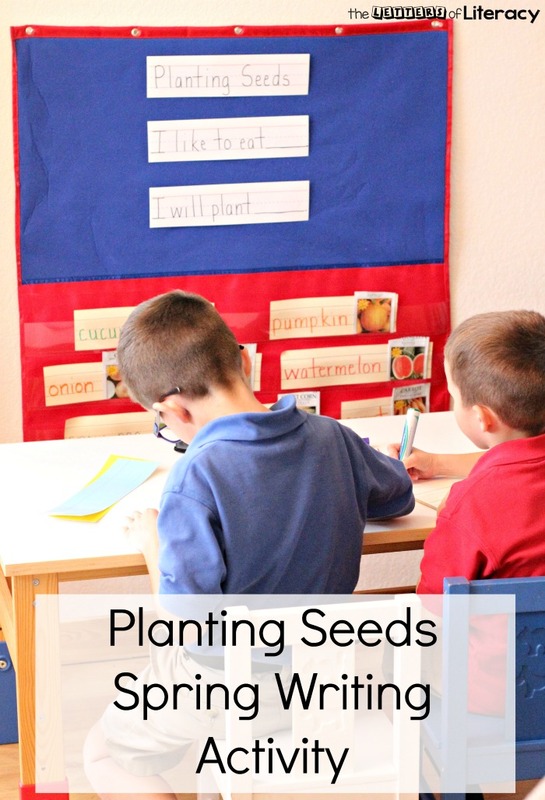 Save the seeds for planting at a later date. 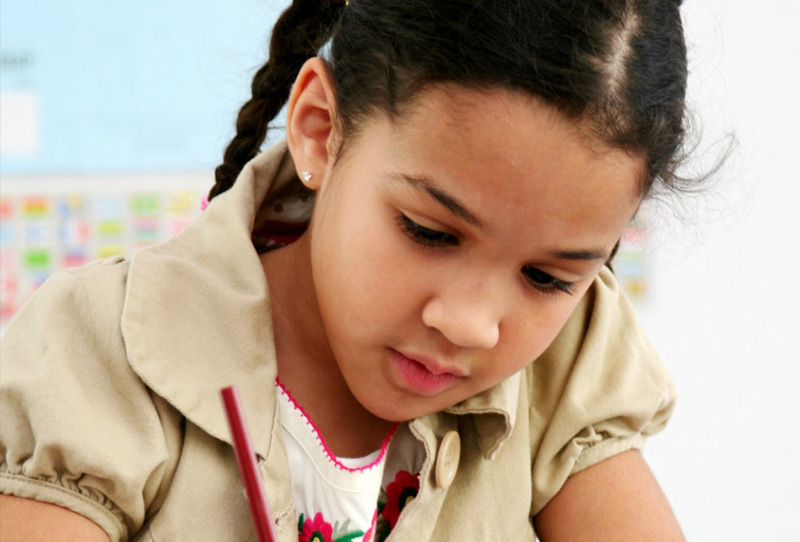 Write 3 sentences that you’d like your children to copy and be sure to leave some fill in the blank options. 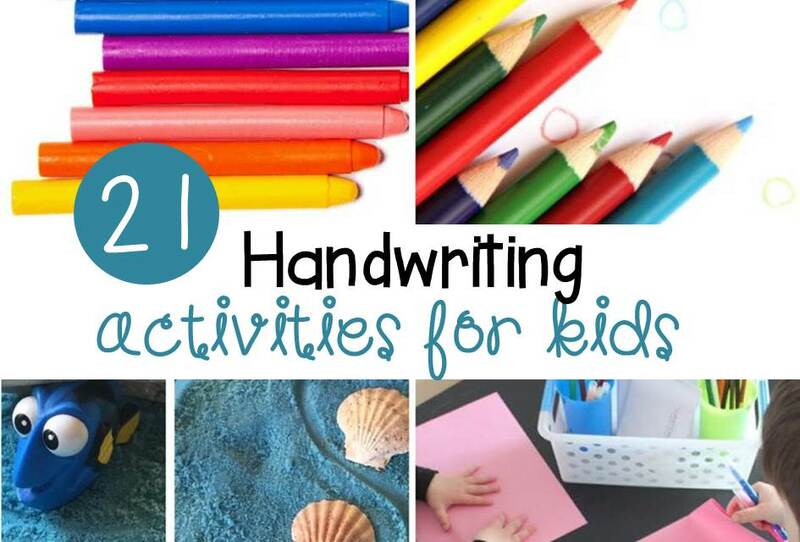 One of my favorite ways to encourage writing is to give children the chance to write with a variety of writing tools. 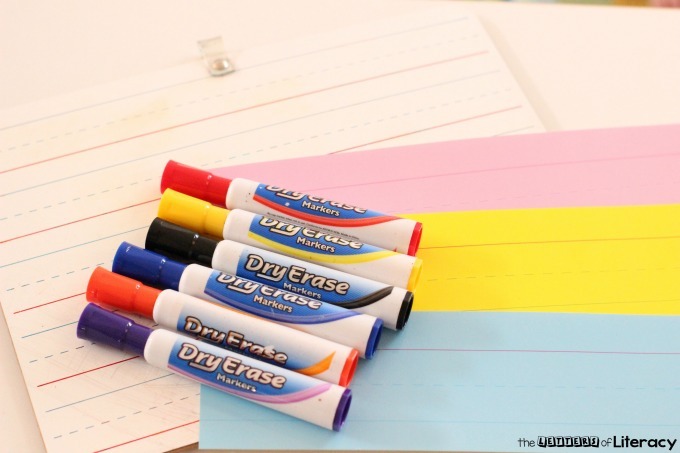 Whiteboards, dry erase markers and laminated sentence strips are just the tools to get kids excited about writing! 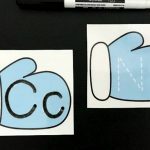 You can make this a small group or center activity. 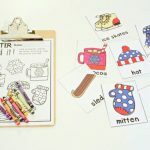 To get more miles out of this writing activity, you could also give children the option to use regular, non-laminated sentence strips and smelly markers to write their sentences on. 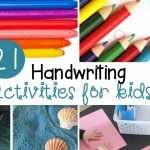 You could alternate these writing tools on different days and change the sentences each day as well! 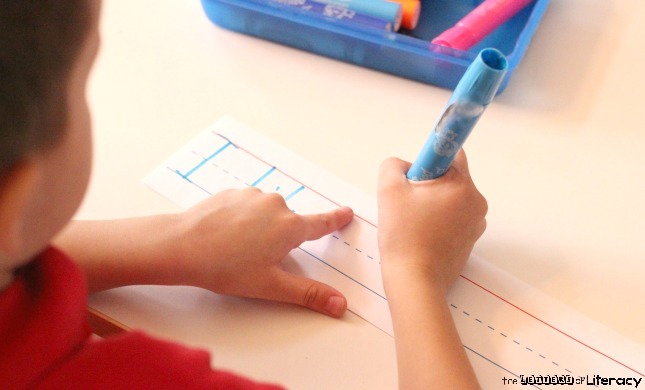 Encourage your children to use their “finger space” when writing their sentences. 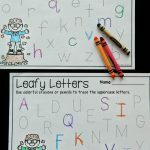 My children have had a wonderful time writing about planting seeds and at the same time working on their writing skills! I am sure yours will enjoy it too! Happy Spring!